My first impressions of the sound of the thinksound MS02 and Rain3 earphones (in-ear monitors, or IEM) are based on comparisons to other IEM (Sennheiser IE800, RHA T20, B&O H3), to a few reference headphones, and to notes I’ve accumulated from many prior reviews. I’ll describe how I relate to these IEM (i.e. my personal tastes and how I use these earphones) only after covering all of the objective issues. For me, the sound of most IEM varies widely depending on the eartips used and how well they seal for bass balance in the ear canals. I have a good sense of when I’m getting the proper ear-canal seal, by pushing the earpieces in until the treble drops noticeably, then backing off until it pops back in — this method is crude but effective. I won’t try to describe an absolute frequency response, or bass/midrange/treble balance for these earphones, because of the variability for different users. For potential buyers who are curious about that, I recommend checking the headphone test measurement websites for their response measurement charts. What I want to describe are the tonality and musicality issues, assuming of course that the sound is good hi-fi. The thinksound MS02 and Rain3 are indeed good hi-fi. The music tracks listed below were selected to illustrate the strengths and weaknesses of these earphones, so hopefully the comments in that list will point up their most important sonic qualities. Thinksound and wood-earpiece observations. Recalling my review of the thinksound On1 and On2 headphones, and the Rain2 IEM, a few users have suggested that “all woodies (i.e. 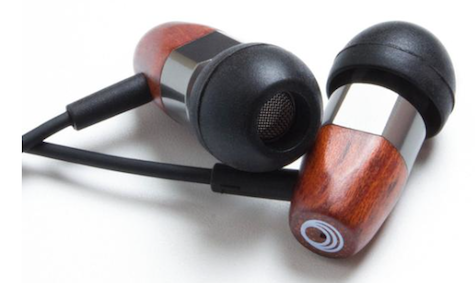 wooden-earcup headphones and earphones) are pretty much alike,” presumably because there’s a glut of those items on the market, and they’re almost entirely OEM (original equipment manufacture) of one central company from China. I don’t have any direct knowledge of the manufacturing of thinksound’s earphones or headphones, but I have had several of those OEM products, and their sound in every case is as far from thinksound’s as night and day. The main differences are the steep treble rolloff and otherwise uneven frequency response in the OEM models I’ve had, so you can expect a much smoother sound from the MS02 and Rain3, and a good balance between bass, midrange, and treble. My IEM experiences include the Final Audio FI-BA-SS (hard and bright), the Sennheiser IE800 (wonderful), the B&O H3 (slightly bright and a bit lean, but good), the RHA T20 (like the H3), several Soundmagic models (decent sound that varies between a lean bass and an emphasized but woofy bass), the Xiaomi MI-IF Piston (as good as or better than the Soundmagic earphones), and now these thinksound IEM. The MS02 impresses me most like the IE800, with solid detailed bass support, low to nonexistent midrange coloration, and instrument separation and detail that’s to die for. Jimmy Smith’s Basin Street Blues, a high-resolution download from HDTracks, has those details in horn crescendos that can sound anywhere from mushy to brittle on different headphones, but sound amazing on the MS02. To be honest, the Rain3 does just about as well on these horn blasts, but different perceptions of treble can skew a person’s judgement either way. I’ll just say that the MS02 has a bit more clarity. Passive audio isolation with the MS02 is at least as good as a good closed headphone, and the leakage is effectively nonexistent. Isolation for the Rain3 is slightly less than with the MS02, but still average compared to most closed headphones. The Rain3’s leakage is audible faintly from 3-4 feet away when the sound is ear-splitting loud, but won’t be a problem in quiet offices if the playback volume is reasonable. Cables for each earphone seem identical, about 4.5 feet long, rubberized, with no microphonics that I detect on either earphone. There are no controls, and the Y-split occurs about 17 inches down from the earpieces. The plugs are 3.5 mm 45-degree angled miniplugs. 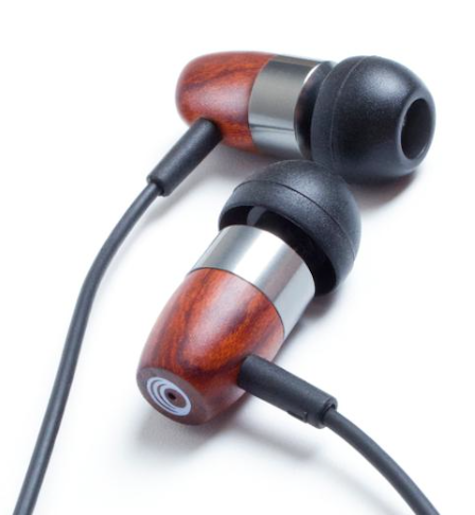 The earpieces are similar, partly wood, but the metal portion of the MS02’s earpieces are round and flat, while the Rain3’s earpieces are just round. The cables seem pretty typical for IEM, not fragile nor extra thick, and there are strain reliefs going into each earpiece, which should increase reliability. 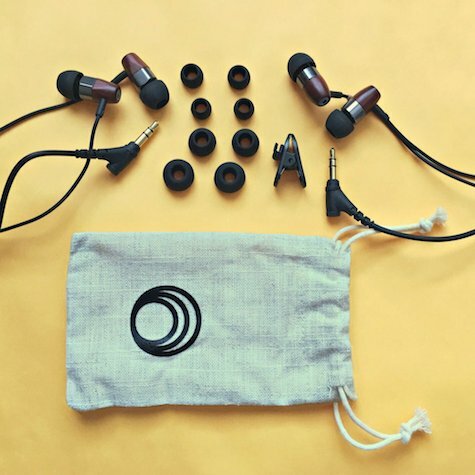 Each IEM comes with a small canvas carry bag, four extra sets of eartips, a clothing clip to keep the cable secure when in use, and warranty cards. The final question is, which IEM is the one to get? I could say MS02 right away, but maybe the best thing is to read the comments in the music tracks listed below to see what my impressions were with each earphone. MyMac Review Rating: MS02 at 10 (superior sound, outstanding value) and Rain3 at 9 (excellent sound, outstanding value). Sources: iPhone6s+ with Oppo HA-2/AudioQuest DragonFly Black DAC/amps, various computers using the AudioQuest DragonFly v1.2/Lehmann Traveller DAC/amps. Beethoven Symphony 9, Solti/CSO (1972): Excellent overall sound. Of special note here are the bass impacts beginning around 10:30 of the fourth movement. Those impacts are soft and well in the background, but you can really feel the weight they carry with the MS02. There is some weight with the Rain3, but it’s fairly light. Chromatics – I’m On Fire (Synth-Pop, female lead): This track with the MS02 has a good amount of space around the voice and instruments, making for a very pleasant stereo image. The voice is excellent, and the tambourine sound is clearly identifiable. Same for the Rain3. Hans Zimmer – Dark Knight-Aggressive Expansion (Soundtrack): The percussion in this track hits really hard, and the bass tones beginning around 0:45 have the ultra-deep “shuddery” kind of sound and feel that indicates a good deep-bass response. Overall, the MS02 plays this music very well. The deep bass is lighter with the Rain3, but there’s not much difference. Hugo Audiophile – 15-16 (Electronic): I’m not sure what the 15-16 stands for — perhaps track numbers from a CD album. The deep-bass tones that start around 33-34 seconds into the track reproduce very well with the MS02. This is a great recording for evaluating whether a headphone’s bass will be sufficient for most environments, since for many headphones that have a weaker bass, the deep bass gets absorbed and mostly lost when the environment contains a lot of low-frequency energy. The Rain3’s deep bass is there, but it’s noticeably lighter. Michael Tilson Thomas – Rhapsody In Blue (20th Century Classic): Great sound and soundstage, and terrific piano playing and tone. There are some very deep bass impacts starting around 38 seconds into the 17:24 length track. The weight of those impacts is impressive with the MS02, and it is subtle with the Rain3. Porcupine Tree – Trains (Pop-Rock): This track opens with some nicely-detailed string sounds and a forward-sounding male voice with a higher-than-average register. There are a series of “clip-clop” effects starting at 3:19 that should sound like they were made with wooden blocks of some kind. The MS02 reproduces those sound effects with a lighter tonality than my more expensive headphones. Same for the Rain3. Trombone Shorty – Backatown (Jazz-Funk): The deep bass impacts here are strong and work well with the horns and other instruments. The MS02 delivers the impacts with very good weight and detail, and the horns have the kind of bite that gives them a wonderfully realistic sound. The deep bass is lighter with the Rain3, but there’s not much difference.